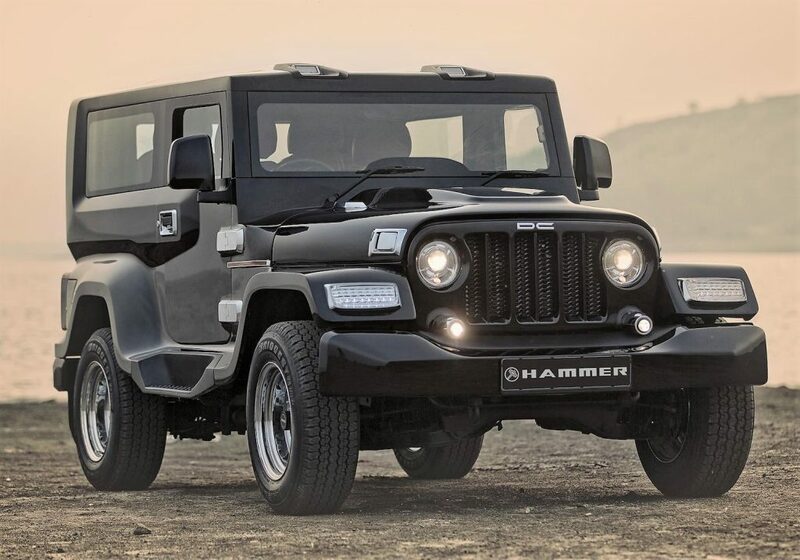 DC Hammer is definitely the Mahindra Thar of your dreams. 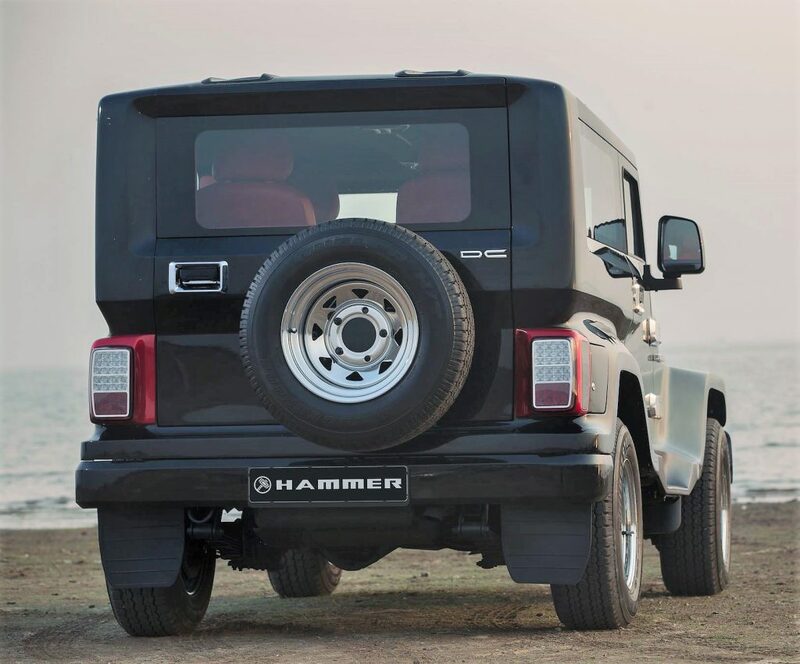 Redesigned from the core, Hammer commands respect for its wide body detailing and price tag of INR 5.95 lakh (modification cost). 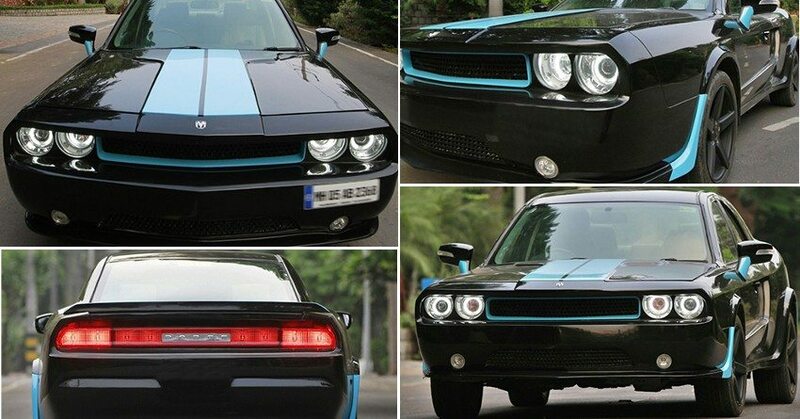 This does not optional features and donor vehicle is to be submitted by owner only. DC plans to bring just 300 units of Hammer and thus, you need to book yourself one soon before stock runs out. Front fascia of Hammer comes with redesigned, gloss finished bumper, projector headlights, fog lights and wide fender mounted lights. 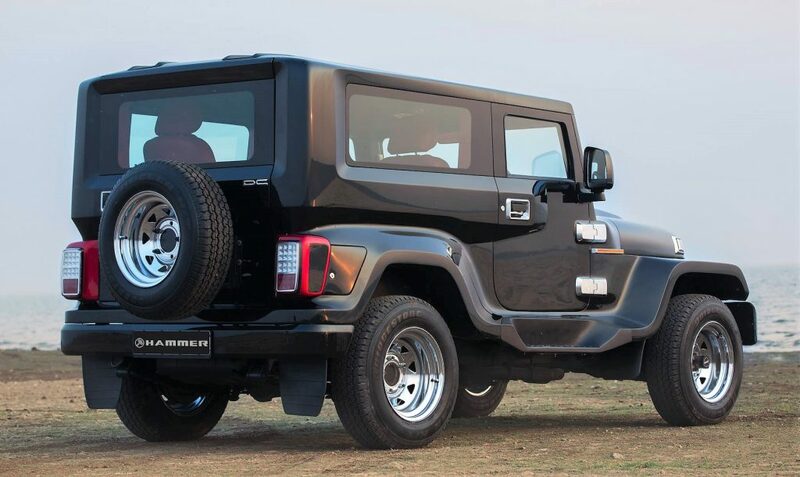 These fenders are custom built for best ever fitting and design enhancement. A redesigned front grill promises bolder stance while visible glass area is reduced for special purpose vehicle looks on Hammer. The roof goes flat and houses fixed mirrors at the rear. It looks certainly boxy from side angles but redesigned wheel arches help this effect feel lighter than ever. Door hinges are large and finished in chrome. 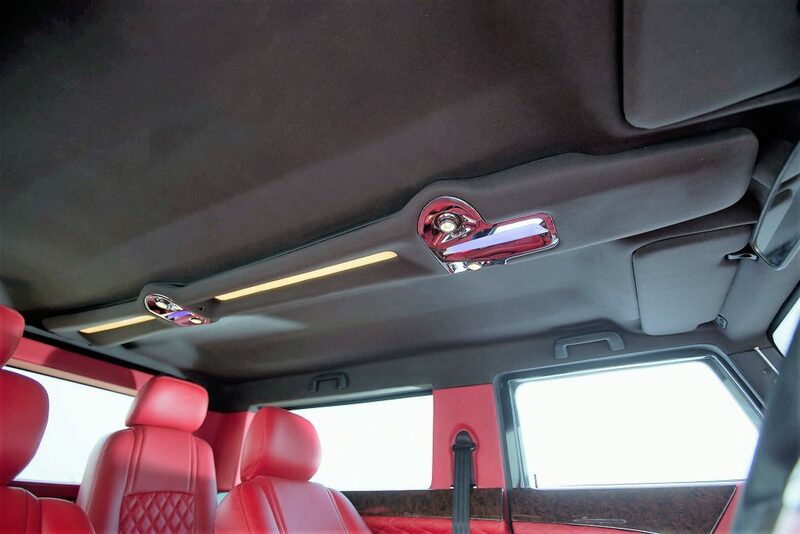 Rear of the Hammer comes with spare wheel mount, LED lights and perfectly planted glass area for parking assistance. 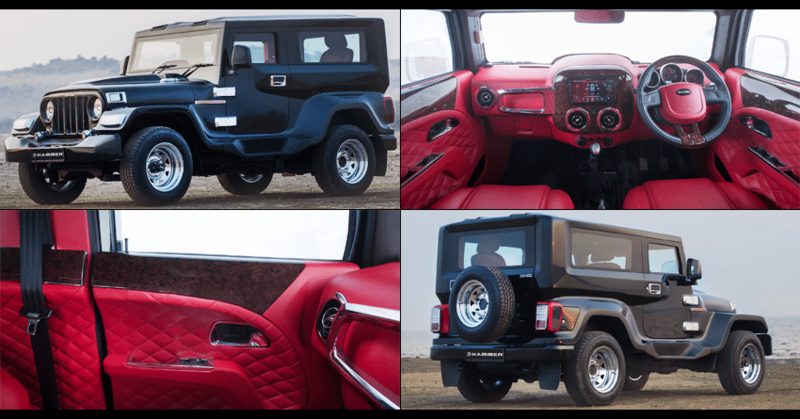 Interior is a lovely upgrade story as no one would have ever imagined such luxury wrapped view inside a Mahindra Thar. The one pictured here comes with premium leather and wood finish in a bright shade. They could offer different shades as per customer’s requirement. 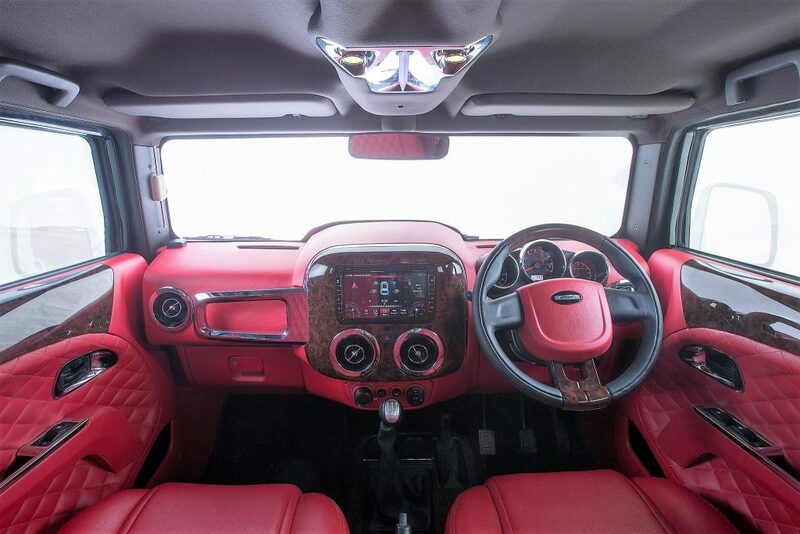 Interior comes with four huge circular air vents, touchscreen infotainment unit and chrome lined overall finish. 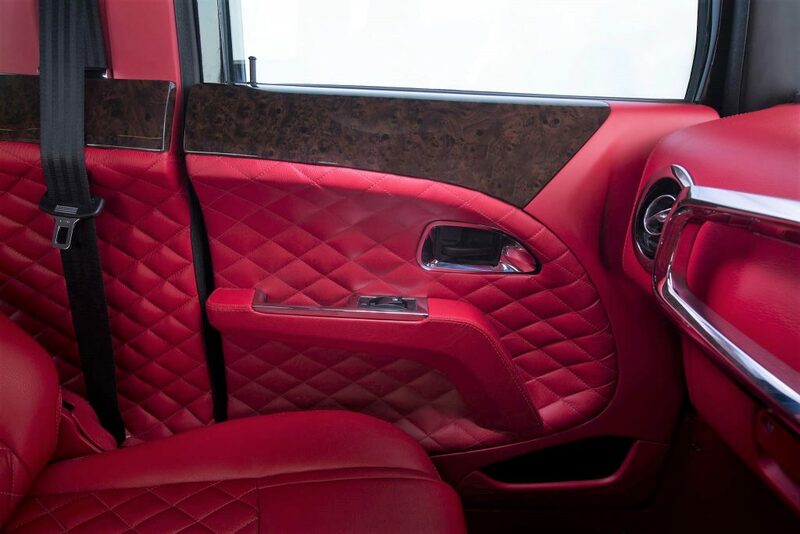 Seats are also wrapped in the same leather shade as Hammer’s dashboard. 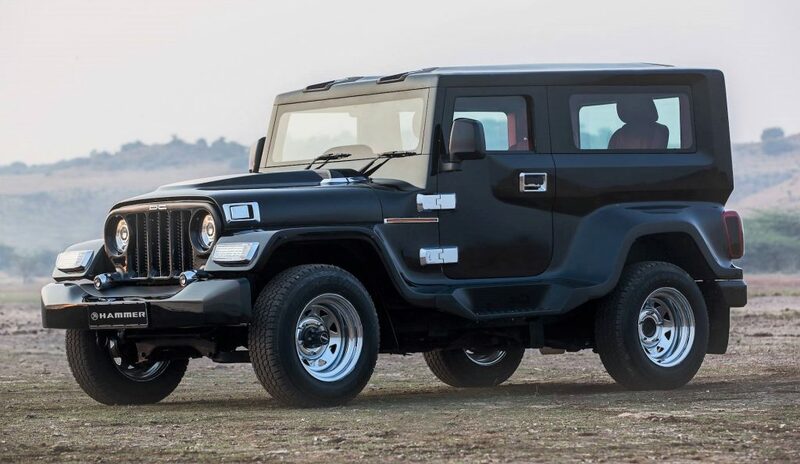 Mahindra Thar is powered by two different engine options while spending INR 6 lakh over the more expensive variants seems rational than the lower spec version. 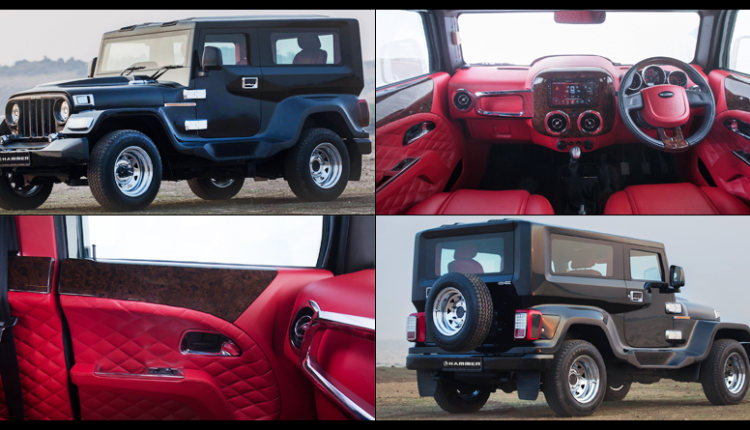 The 2.5L, four cylinder diesel engine on stock Thar is good for 105 BHP and 247 Nm of torque. It measures under four meter and weighs around 1750 kg.